Posted on February 1, 2019 at 3:11 pm. 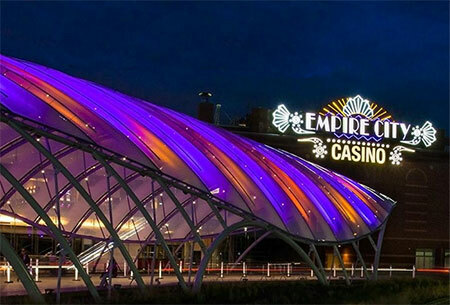 MGM Resorts International and MGM Growth Properties have purchased Empire City Casino, a 97-acre property in Yonkers, New York, in an $850 million deal. According to the acquisition agreement, MGM Resorts will pay an extra $50 million if the property obtains a licence for live table games before December 31, 2022. Located 15 miles from Times Square in Manhattan, Empire City services around 16 million eligible gamblers in southern New York. The venue operates 5,000 slot machines and electronic table games and also offers horse racing, live entertainment and dining. “Over the past three years, we have established a meaningful presence in the northeast with Borgata in Atlantic City, MGM National Harbor in Maryland, and MGM Springfield in Western Massachusetts,” said Jim Murren, Chairman and CEO of MGM Resorts.